We have an AWS instance that is running docker images. The AWS instance came with 8 GB of free space and we have mounted another data partition of 100 GB. 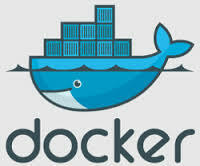 However, by default, the docker images are consuming space from within the 8 GB, which will not be sufficient, so we have got to move docker directory to the data partition that was mounted. The following steps worked for me. Edit docker config, look for DOCKER_OPTS, add "-g /data/docker". Docker config can be found at /etc/default/docker. DOCKER_OPTS="--dns 8.8.8.8 --dns 8.8.4.4 -g /data/docker"
No Comment to " Moving Docker's Directory "